Scammers and cyber thieves continue to use the IRS as bait. 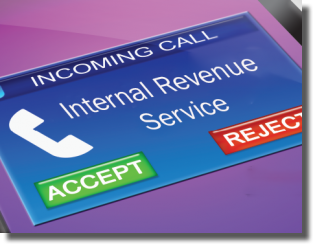 The most common tax scams are phone calls and emails from thieves who pretend to be from the IRS. Scammers use the IRS name, logo, fake employee names and badge numbers to try to steal money and identities from taxpayers. taxpayers owe money and demand payment right away. Other times, scammers will lie to taxpayers and say they’re due a refund. The thieves ask for bank account information over the phone. The IRS warns taxpayers not to fall for these scams.